camera / monitor not included. Actual style of camera may be different. 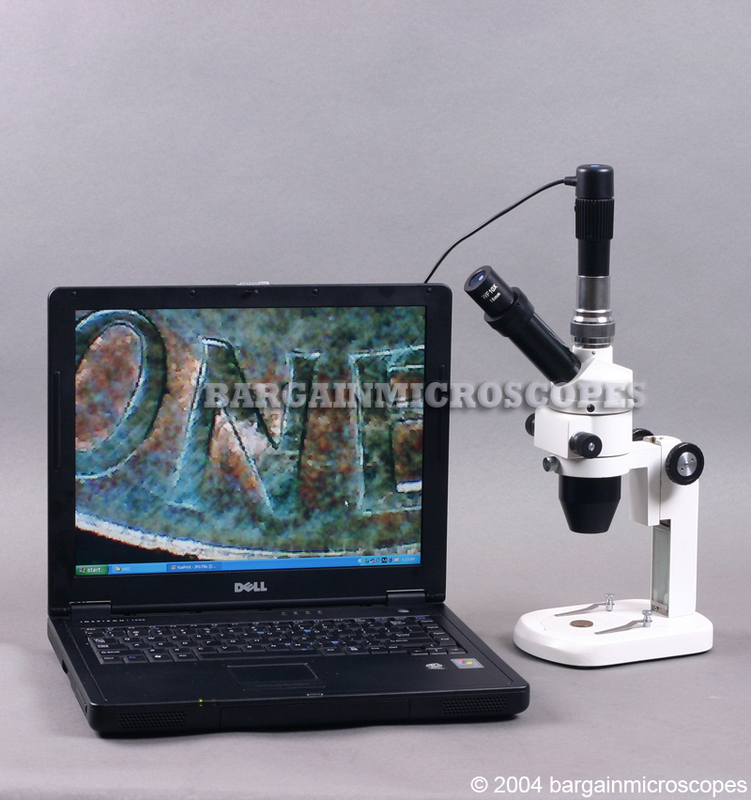 Zoom Monocular Microscope with Photo/Video Port! 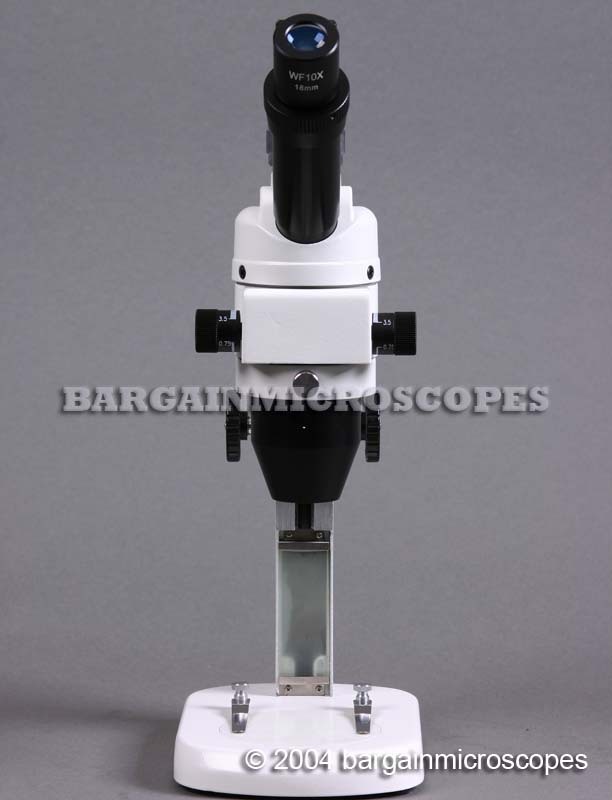 Easily Increase or Decrease Magnification as Needed with these Zoom Optics! 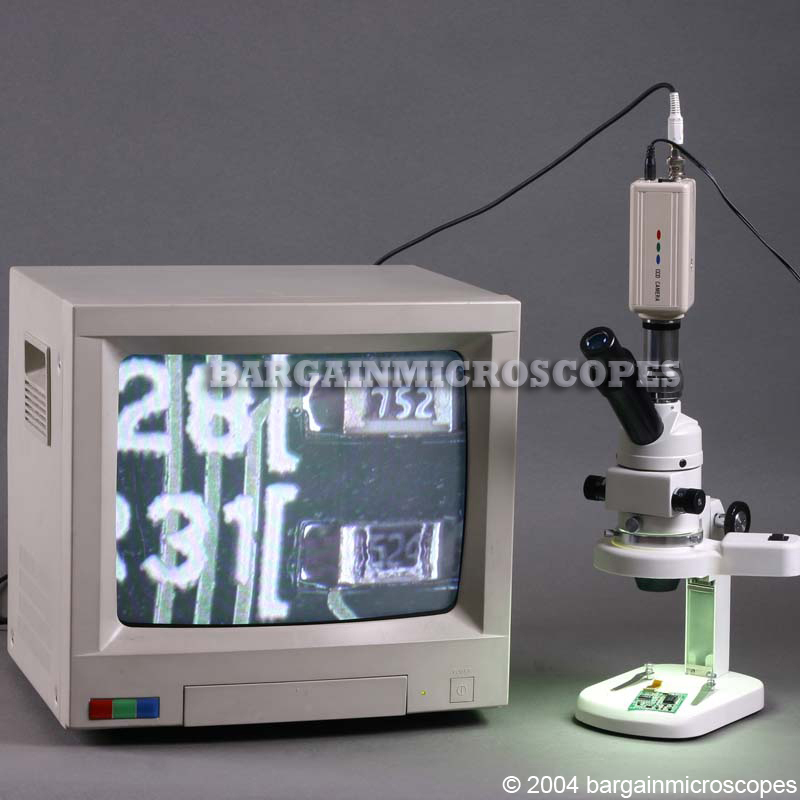 Handy tool for the shop when a little extra viewing power is needed! 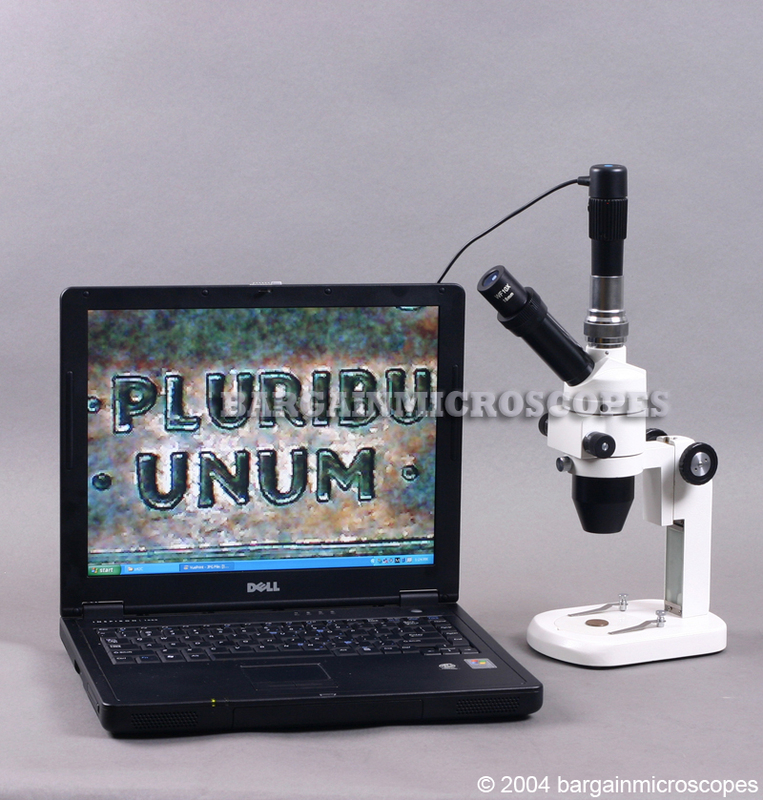 Also great for taking on field nature trips! 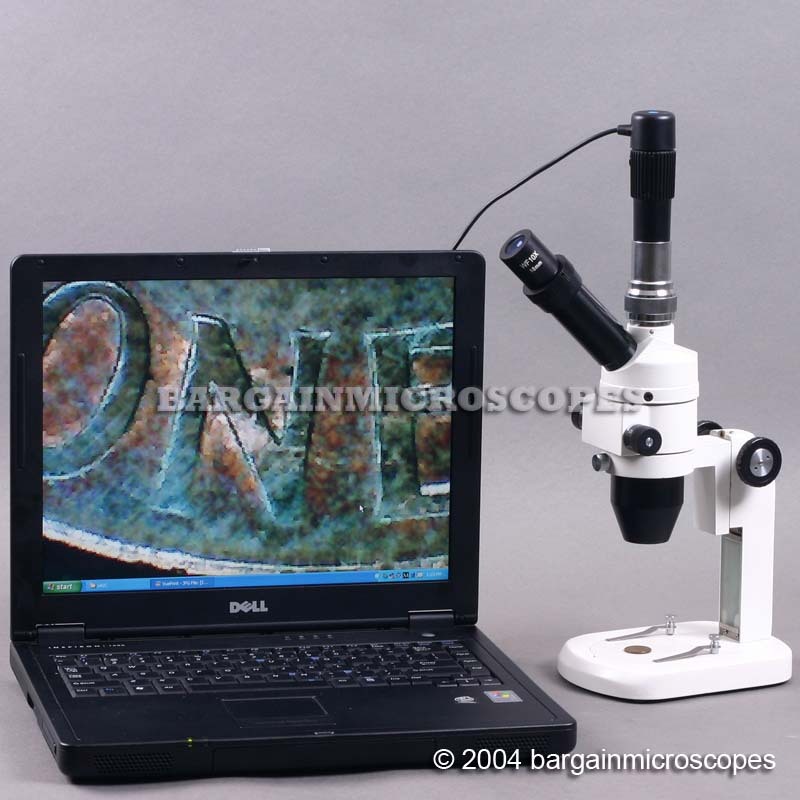 Great microscopic images all at a budget price. 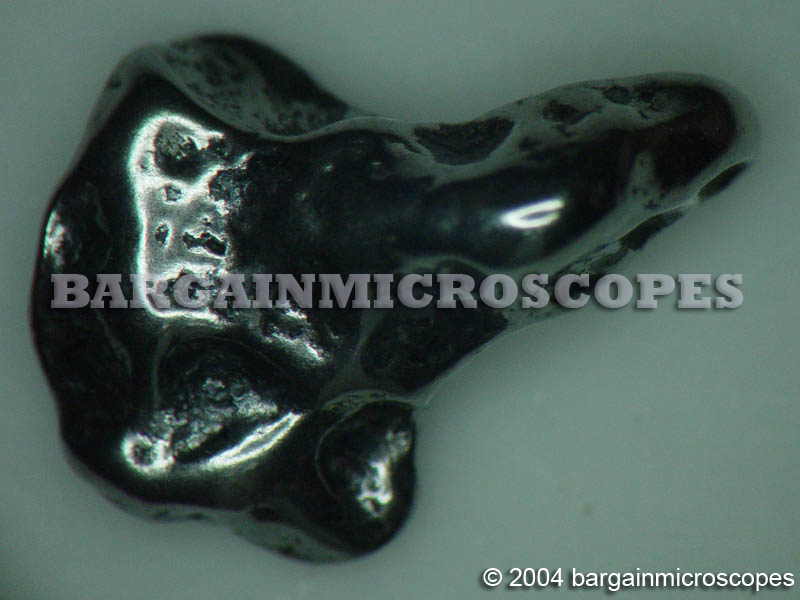 Images captured using this microscope. .
Zoom Range: 7.5 Through 35x Continuous Magnification. 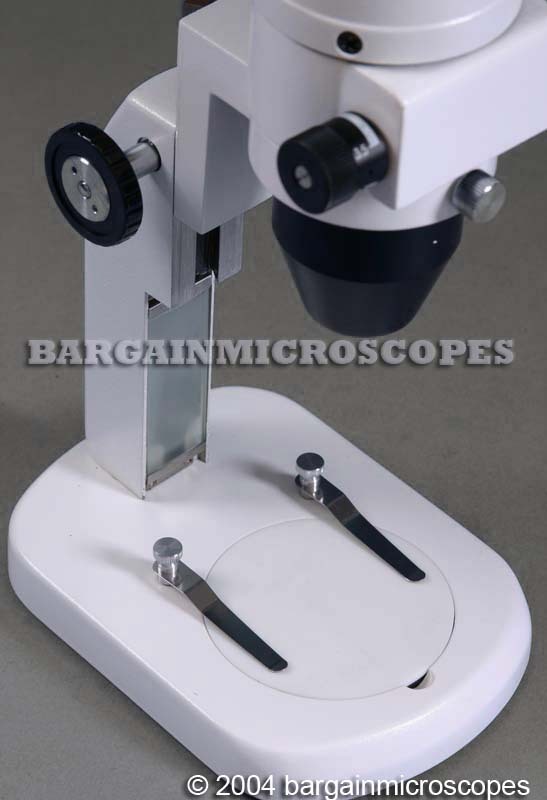 Eyepiece Included: Wide Field 10x with Pointer. 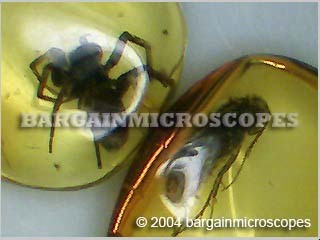 Image produced by eyepiece is a non-mirror image. 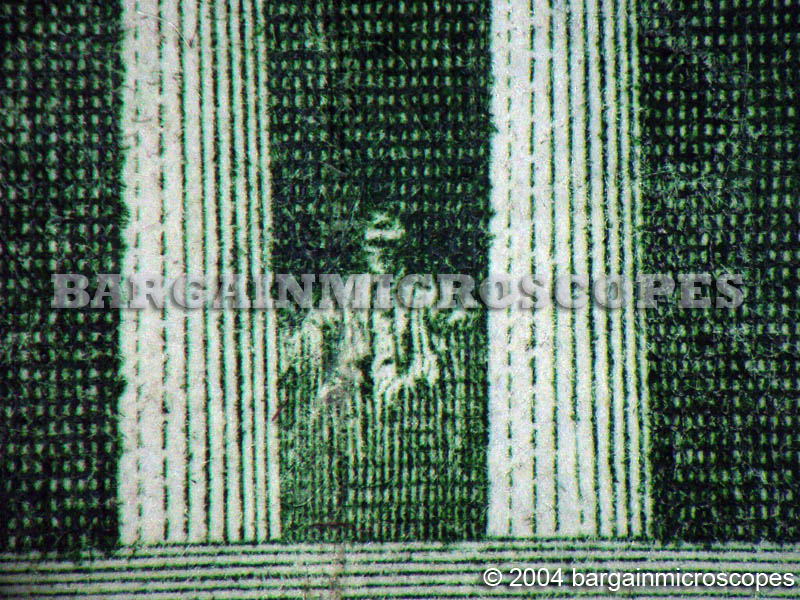 However, the optics do rotate the image 180 degrees. 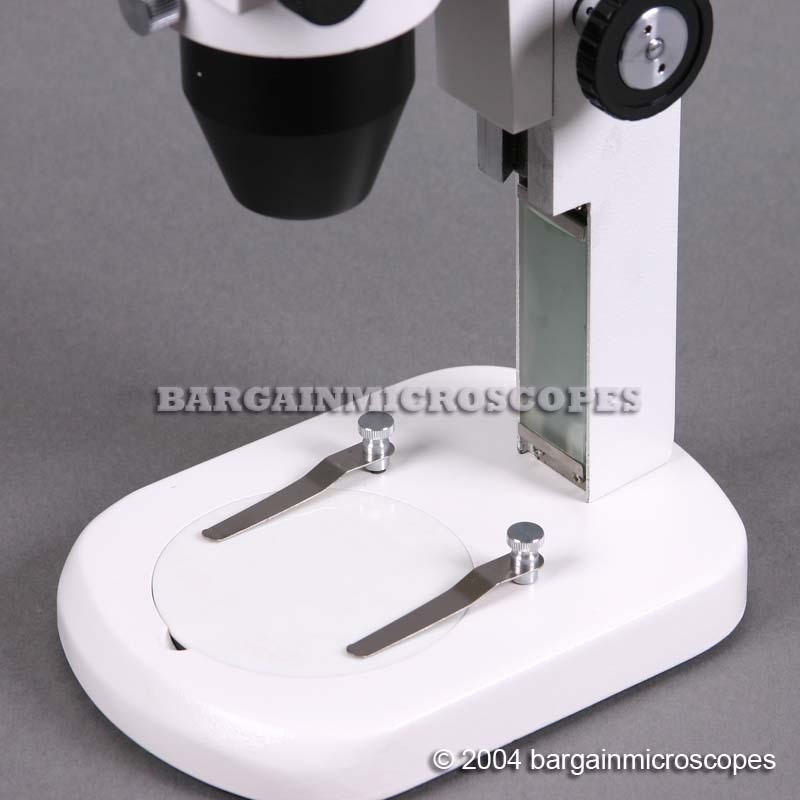 While many microscopes give a mirror image of the specimen, this unit rotates the specimen image upside down. A digital camera or a video camera is simply turned 180 degrees in the photography port to produce an upright, non upside down, image on viewing screen. 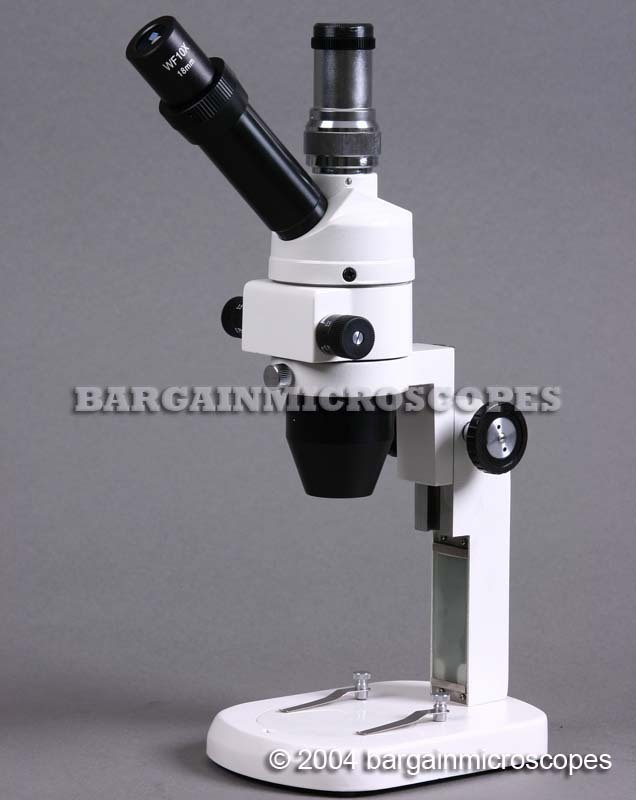 Simply use microscope in a well light room. 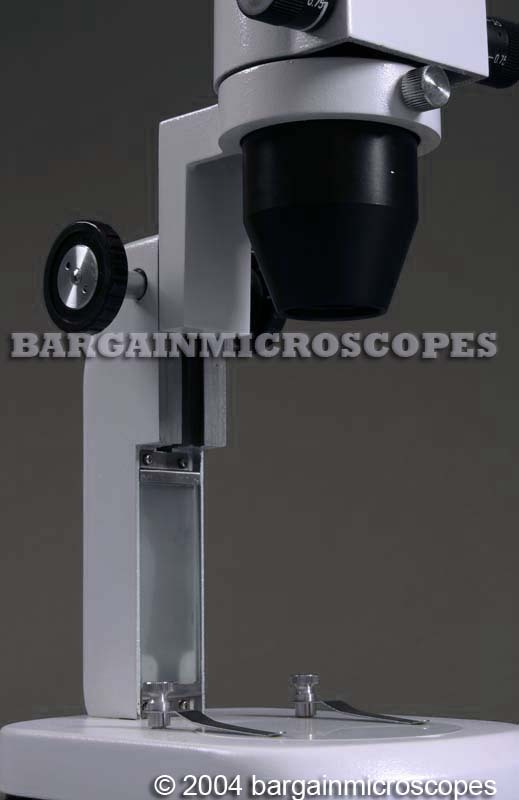 45 Degree Inclined Head, Fully Rotatable 360 Degrees. Nice Working Distance to Allow Room for Your Tools (Distance from Bottom of Lens on Head to Top of Object in Focus): 90mm. 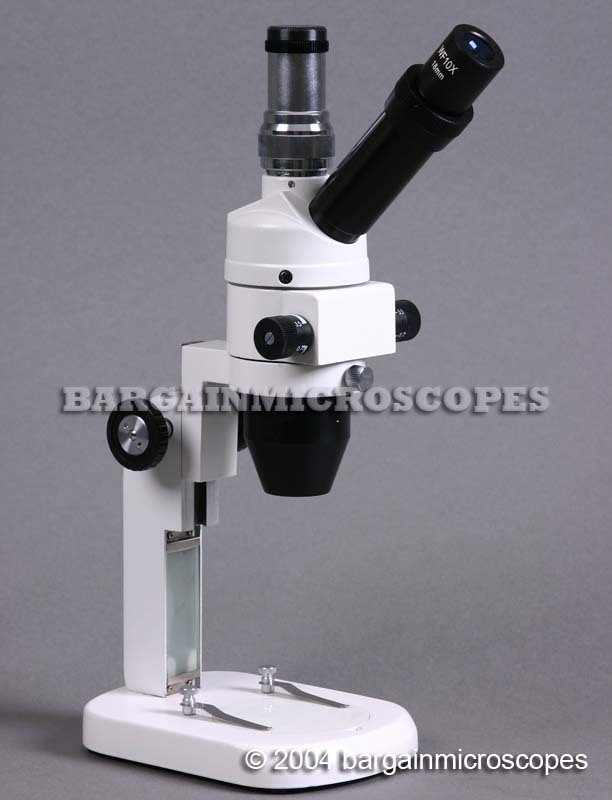 Total Overall Height of Microscope: 370mm. 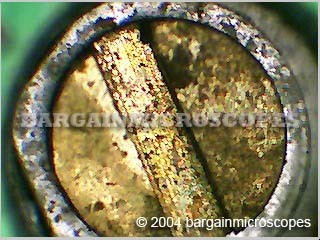 Includes Standard Phototube (23mm ID) for Attaching Camera Equipment. 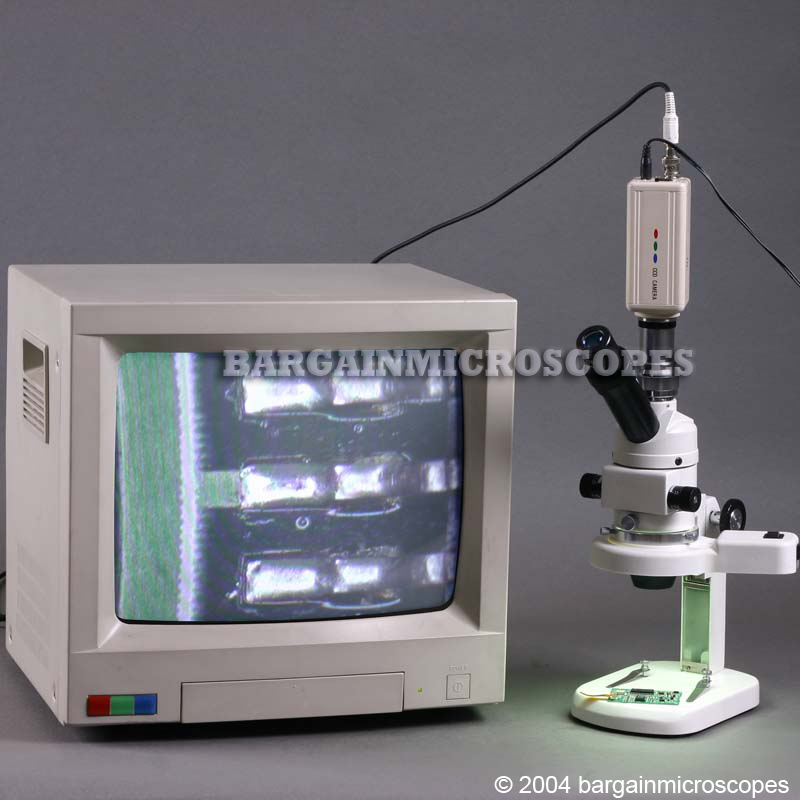 Includes C-Mount for Attaching a CCD Video Camera! Includes Double Sided Black/White Disc Stage Plate.